In Ethiopia, TF partners with Yekatit 12 Hospital, the country’s only comprehensive cleft care centre. Every year, Yekatit 12 treats roughly 500 cleft patients and performs 1,000 surgeries on patients with clefts, head injuries, other craniofacial conditions and severe burns. While the team is highly skilled, they have recently expressed frustrations with the lack of safe, reliable surgical equipment needed to perform their work. To date, they have relied on mostly outdated, second-hand equipment that is increasingly hindering their ability to perform standard procedures. In response, TF has undertaken an ambitious fundraising initiative to raise over $100,000 in funds for critical new equipment, including electrosurgery, suction and X-Ray machines. This equipment is vital to ensuring our partners are armed for success and our patients receive the highest quality care. In addition to patient risk, poor equipment puts Yekatit 12 at risk of brain drain. 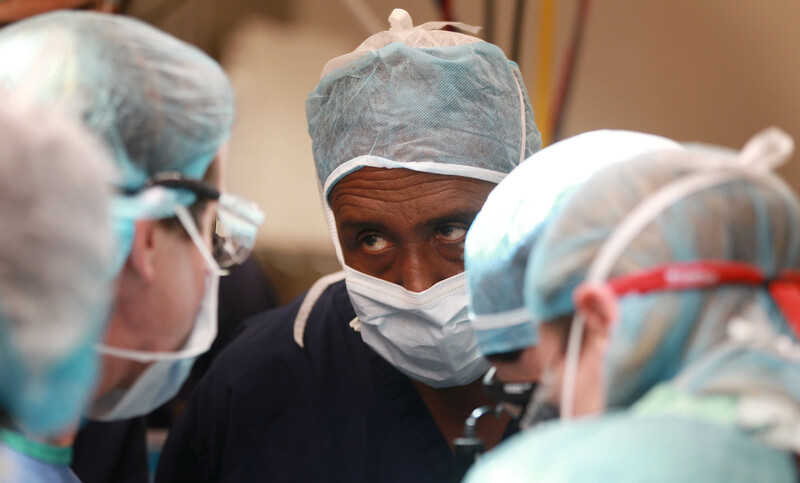 Ethiopia already faces a major shortage of trained reconstructive surgeons and currently, Yekatit 12 serves as a leading teaching hospital for the country’s plastic and general surgeons; without proper tools in place to carry out their training and work, surgeons will begin to seek out professional opportunities elsewhere. You can help change that! By upgrading the most essential equipment, we will be able to help ensure the continued safety and quality of Ethiopia’s only comprehensive cleft care program, and enhance Yekatit 12’s capacity to train the next generation of surgeons from all over the country. Thanks to the generosity of many wonderful donors and foundations, we have already raised over $20,000 towards this goal… but there is still a very long way to go. Please consider making a donation to help transform the lives of Ethiopian medical professionals and patients. 100% of contributions will go directly to this initiative.